Craftsy’s Pick Your Price Promotion! Craftsy classes are on sale! Offer: Pick Your Price Promotion! Details: Choose from the tiered selection of popular online classes today and get better at what you love to do without breaking the bank! Years ago, I wanted to learn to crochet home decor items such as doilies. I loved the delicate nature of using crochet thread and a tiny hook. But then I discovered cotton yarn and items that I could make for the kitchen, such as dishcloths. I was eternally hooked! I love all the different color combinations and stitches that can be used in ‘kitchen’ crochet! Crocheting items for the kitchen is a great way to practice your crochet stitches and patterns, while making something quick and useful! 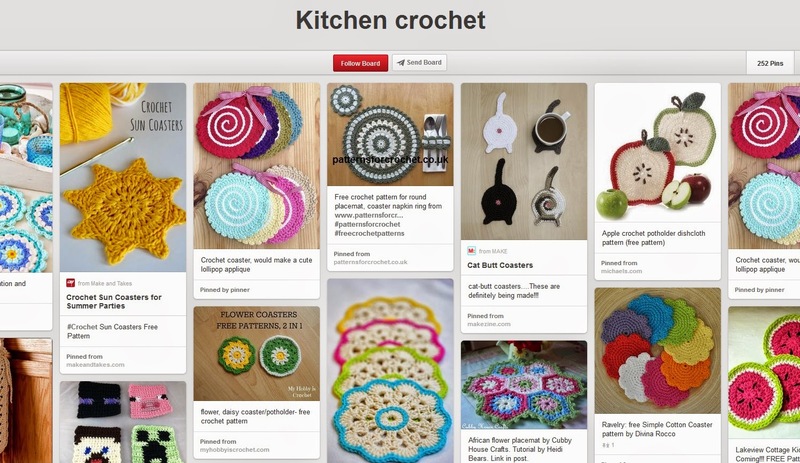 So, continuing our Summer theme of crochet items that be made quickly, here are some wonderful Kitchen Crochet items on this Pinterest board. There are so many wonderful, colorful items on these Pinterest boards, I just had to include two this week! 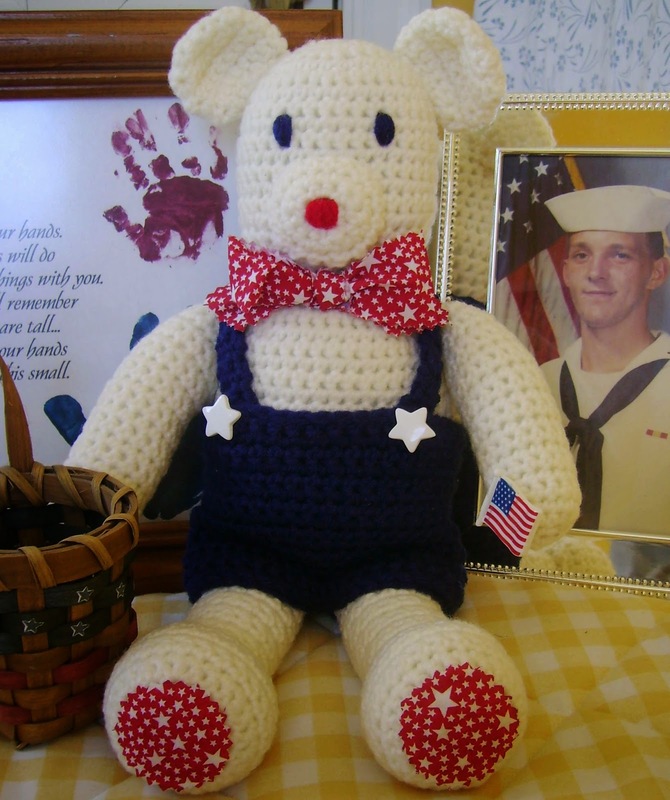 Introducing I Love America Doll crochet pattern! 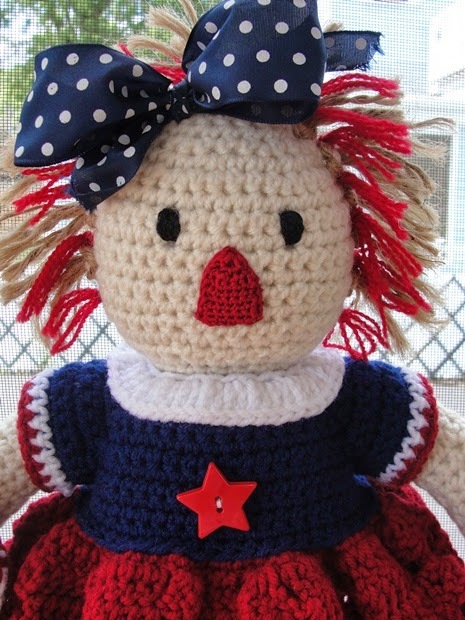 Our new I Love America Doll measures 17″ tall and is oh-so-fun to make! The majority of the pattern uses #4 medium worsted weight yarn. Our introductory price for our new listing is 50% off until July 31, 2014. Click HERE to purchase her and enter the coupon code JULY5 after you add her to the cart. Last 10 days for Leisure Arts CLEARANCE SALE! Enjoy a discount of up to 60% off of Warehouse Clearance Sale items! Hurry, though! Sale ends 6/30/14! 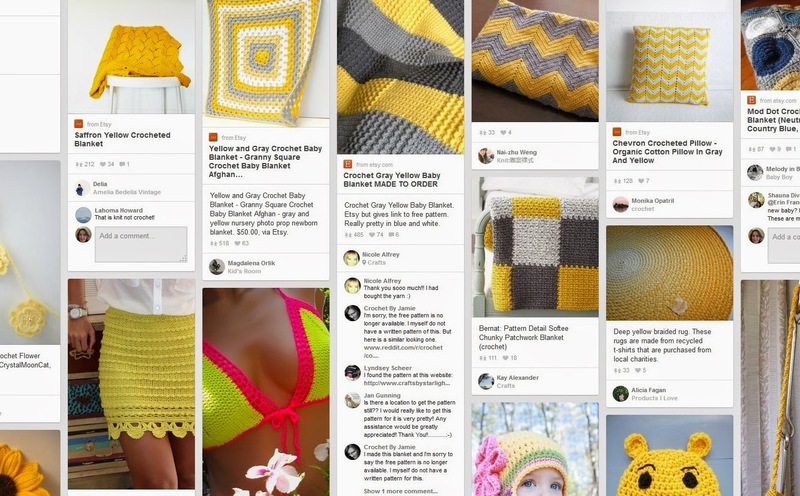 Continuing our Summer theme of Pinterest boards, I am showcasing crochet that is Yellow in color! Yellow just happens to be my favorite color and I love the way that this kind of board makes me feel! This week, since we are just starting into Summer and we need small portable projects to crochet, I am featuring the all time favorite, Granny Square! 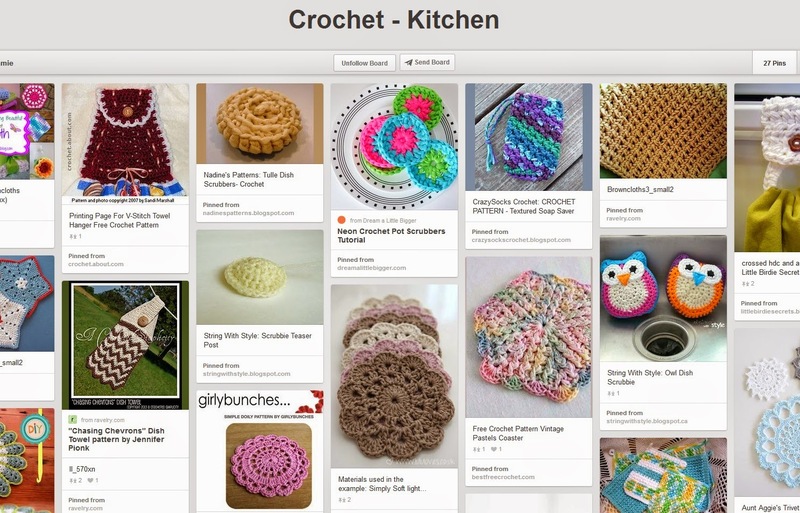 Come and view a beautiful Pinterest board that highlights the Granny Square beautifully!